عمل‌کرد نورون، وابسته به خواص سیناپس‌های دریافتی و خواص ذاتی نورون است. با این حال، جمع‌آوری سیناپسی و پاسخ‌های ذاتی می‌تواند تا حد زیادی وابسته به ورودی سیناپسی باشد. هسته‌های عمقی مخچه که سیناپس‌های مهاری از سلول‌های پورکنژ دریافت می‌کنند، در این زمینه مورد توجه هستند. انتقال رفتار از سلول پورکنژ به هسته‌ی عمقی در حیوان بیدار و نحوه‌ی کد کردن این اطلاعات توسط هسته‌ی عمقی ناشناخته مانده است. برای بررسی این موضوع ثبت‌های هم‌زمان از حدود 50 سلول پورکنژ هم‌گرا به هر هسته‌ی عمقی مورد نیاز است که در آزمایش‌ها غیرممکن است. بنابراین لازم است از روش‌های مدل‌سازی استفاده شود. در تحقیق حاضر به منظور بررسی اثر ورودی‌های سلول پورکنژ بر طیف فرکانسی هسته‌ی عمقی، نحوه‌ی انتقال اطلاعات رفتاری از سلول پورکنژ به هسته‌ی عمقی و کدینگ رفتار توسط هسته‌ی عمقی، قطارهای اسپایک مصنوعی از سلول پورکنژ تولید و مدولاسیون رفتاری (تنفس) به آن‌ها اضافه، و سپس به مدل هسته‌ی عمقی اعمال شدند. چگالی طیف توان آتش کردن هسته‌ی عمقی در پاسخ به سیناپس‌های ورودی از سلول پورکنژ بررسی و باندهای فرکانسی طیف خروجی هسته‌ی عمقی تحلیل شد. نتایج نشان دادند که فرکانس مدولاسیون رفتاری در طیف خروجی هسته‌ی عمقی منعکس می‌شود و در خروجی هسته‌ی عمقی در پاسخ به مدولاسیون رفتاری دریافت شده از سلول‌های پورکنژ، پیک فرکانس پایینی قابل مشاهده است. از طرفی مطالعه‌ی قبلی نشان داده است که هسته‌ی عمقی مخچه در پاسخ به مدولاسیون رفتاری دریافت شده از سلول‌های پورکنژ کدینگ فرکانسی انجام می‌دهد، نتایج تحقیق حاضر می‌تواند تاییدی باشد بر انجام کدینگ فرکانسی توسط هسته‌ی عمقی مخچه. به‌علاوه در خروجی هسته‌ی عمقی با نرخ آتش کردن بالا، یک پیک فرکانس بالا مشاهده شد که می‌تواند ناشی از آتش کردن تونیک هسته‌ی عمقی باشد. Neural function depends on the received synapses and the intrinsic properties of the neuron. However, synaptic integration and intrinsic responses can largely depend on the synaptic inputs. In this respect, deep cerebellar nuclei (DCN) neurons which receive inhibitory synapses from Purkinje cells (PCs) are of interest. Transmission of behavior from PC to DCN in awake animal and how this information is coded by the deep cerebellar nuclei remain unknown. To investigate this issue, simultaneous recordings from about 50 Purkinje cells converged to each DCN is required, which is impossible in experiments. Therefore, it is required to use modeling techniques. In this study, to explore the effect of Purkinje cells inputs on the power spectral of DCN output, the transmission of behavioral information from the Purkinje cell to the DCN, and behavior coding by the DCN, artificial spike trains (ASTs) of the Purkinje cell were generated, and behavioral modulation (respiration) was added to them, then, ASTs were applied to the DCN model. Power spectral density analysis of the DCN firing in response to the synaptic inputs from Purkinje cells was made and the frequency bands of the DCN output were analyzed. Results showed that the behavioral modulation frequency is reflected in the DCN spectrum and a peak is visible at low-frequencies at the power spectral of the DCN output in response to the behavioral modulation received from Purkinje cells. On the other hand, the previous study has shown that DCN performs frequency coding in response to the behavioral modulation received from Purkinje cells. Results of the present study cou‌d confirm the frequency coding by the DCN. In addition, a high-frequency peak was observed, which cou‌d be due to the tonic firing of the DCN. A. L. Person, I. M. Raman, "Purkinje neuron synchrony elicits time-locked spiking in the cerebellar nuclei," Nature, vol. 481, pp. 502-505, Jan. 2012. M. Najac, I. M. Raman, "Integration of Purkinje cell inhibition by cerebellar nucleo-olivary neurons," J. Neurosci, vol. 35, pp. 544-549, Jan. 2015. Z. Husson, C. V. Rousseau, I. Broll, H. U. Zeilhofer, S. Dieudonné, "Differential GABAergic and glycinergic inputs of inhibitory interneurons and purkinje cells to principal cells of the cerebellar nuclei," J. Neurosci, vol. 34, pp. 9418-9431, Jul. 2014. R. Lin, S. Metz, D. Jaeger, "Synaptic integration in the deep cerebellar nuclei: comparing dynamic clamp results with a computer model of somatic or distributed dendritic input," BMC Neurosci, vol. 9, pp. 12, Jul. 2008. V. Gauck, D. Jaeger, "The control of rate and timing of spikes in the deep cerebellar nuclei by inhibition," J. Neurosci, vol. 20, pp. 3006-3016, Apr. 2000. V. Gauck, D. Jaeger, "The contribution of NMDA and AMPA conductances to the control of spiking in neurons of the deep cerebellar nuclei," J. Neurosci, vol. 23, pp. 8109-8118, Sep. 2003. S. S. Feng, R. Lin, V. Gauck, D. Jaeger, "Gain control of synaptic response function in cerebellar nuclear neurons by a calcium-activated potassium conductance," Cerebellum, vol. 12, pp. 692-706, Apr. 2013. S. Abbasi et al., "Robust transmission of rate coding in the inhibitory Purkinje cell to cerebellar nuclei pathway in awake mice," PLoS Comput Biol, vol. 13, e1005578, Jun. 2017. S. Shinomoto, K. Miura, S. Koyama, "A measure of local variation of inter-spike intervals," Biosystems, vol. 79, pp. 67-72, Nov. 2005. S. Koyama, S. Shinomoto, "Empirical Bayes interpretations of random point events," J. Phys. A, vol. 38, pp. 531-537, Jul. 2005. M. G. Paulin, L. F. Hoffman, "Optimal firing rate estimation," Neural Net, vol. 14, pp. 877-881, Jul. 2001. M. Palkovits, É. Mezey, J. Hamori, J. Szentagothai, "Quantitative histological analysis of the cerebellar nuclei in the cat. I. Numerical data on cells and on synapses," Exp. Brain Res, vol. 28, pp. 189-209, Dec. 1977. R. J. Lin, D. Jaeger, "Using computer simulations to determine the limitations of dynamic clamp stimuli applied at the soma in mimicking distributed conductance sources". 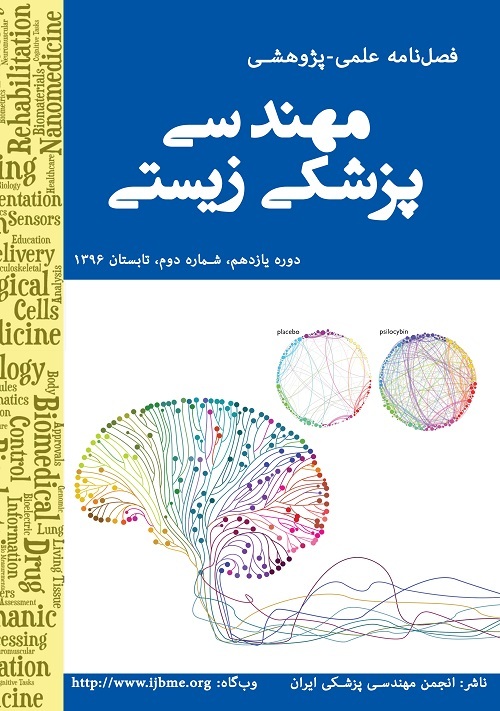 J. neurophysiol, vol. 105, pp. 2610-2624, May. 2011. V. Steuber, N. W. Schultheiss, R. A. Silver, E. De Schutter, D. Jaeger, "Determinants of synaptic integration and heterogeneity in rebound firing explored with data-driven models of deep cerebellar nucleus cells," J Comput Neurosci, vol. 30, pp. 633-658, Nov. 2011.